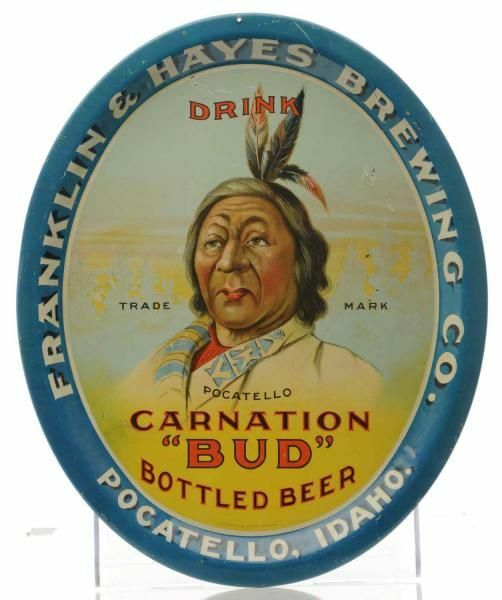 Featured is an early pre-prohibition serving tray from the Franklin and Hayes Brewery in Pocatello, Idaho. This pre pro tray advertises their Carnation Bud Brand of Beer. The tray features a great native American Indian image too! Circa 1900.